Lee Deigaard, Opal Eye, still from video animation, 2011. Steady Star, 2011. 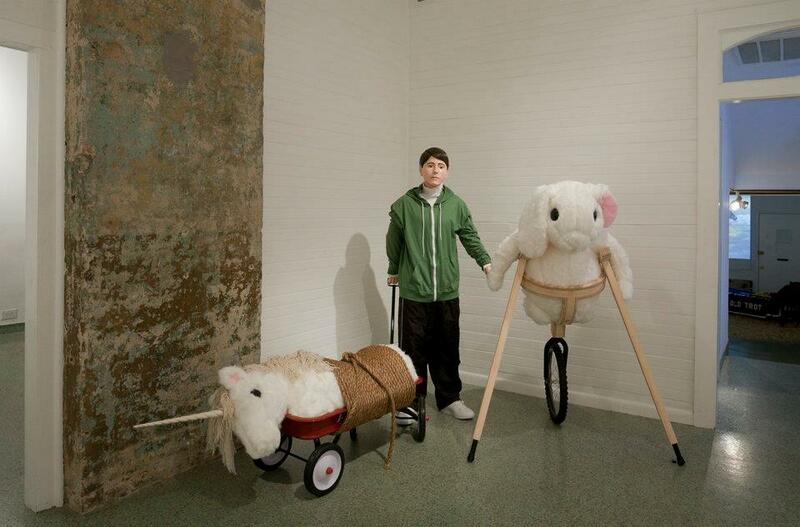 New works by Lee Deigaard consider the horse as significant Other. 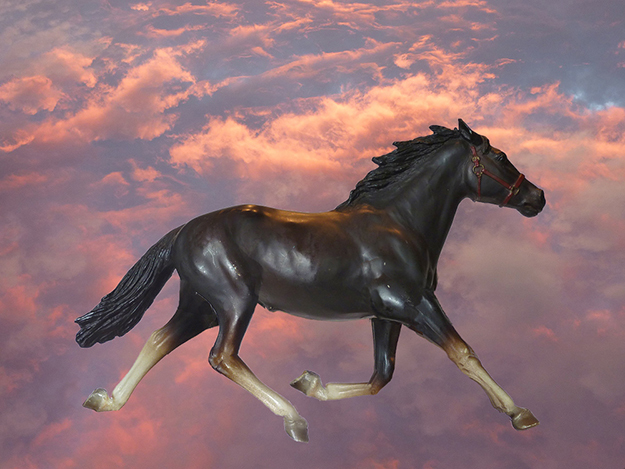 Featuring nocturnal portraits and video animations, "In Your Dreams (Horses)" explores proprioceptive awareness, relational mysteries, and the chimerical power of memory and yearning. Victory: a Multi-Part Paean to the Just and Right Hegemony of All Good Creatures Over the Wicked Unicorn Menace. Sculpture and new collages from Front member, Alex Podesta. The BP Deepwater Horizon Oil Spill Disaster has destroyed and continues to destroy local culture, our environment, and our wildlife. Both the long-term after effects of this disaster and its ultimate reach are yet unknown. BirdProject’s mission is to raise and maintain public awareness of the Oil Spill and to help provide funding for Environmental Cleanup Initiatives and aid for affected wildlife. To further this goal, BirdProject is creating and selling black, bird shaped glycerin soaps. 50% of the profits from the sale of the soaps are going to Gulf Restoration Network & IBRRC. Each soap contains a ceramic bird keepsake that is handcrafted from Louisiana clay. The soaps are made in New Orleans, by Emily Manger Davis of Sweet Olive Soap Works, from natural, locally sourced ingredients. Through the daily act of washing, the clean, white, ceramic birds inside are eventually freed - potent symbols of restoration and recovery. The soap is shaped to be cradled in your hand and is a powerful representation of all creatures affected by the spill. A 7-channel video installation by Dave Greber with contributions from Jacob Edwards, Katie Gelfand, Matthew Holdren, and Roel Miranda. "Open Arms is a tribute to the illusion of mortality and to transcendence beyond."